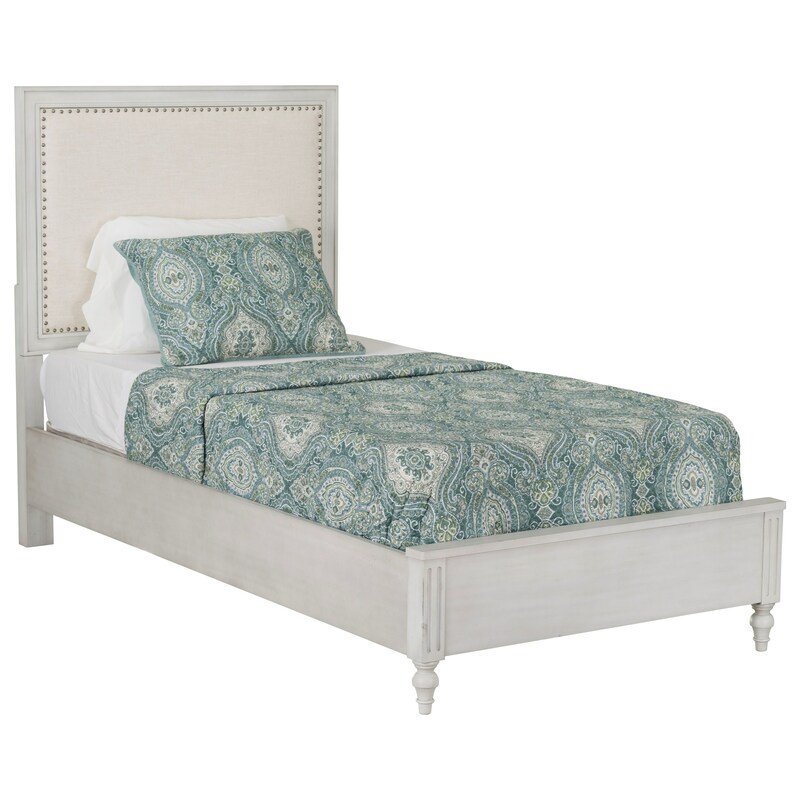 This charming full bed will make a timeless addition to a youth or guest bedroom. The headboard has an upholstered panel framed with nailhead trim and the footboard features traditional fluting accenting and bun feet. Pair with matching storage pieces from this collection for a stylish and cohesive set of bedroom furniture. The Sarah Full Bed with Upholstered Headboard by Standard Furniture at Miskelly Furniture in the Jackson, Pearl, Madison, Ridgeland, Flowood Mississippi area. Product availability may vary. Contact us for the most current availability on this product.